Introduce children to geography with this inflatable world globe. 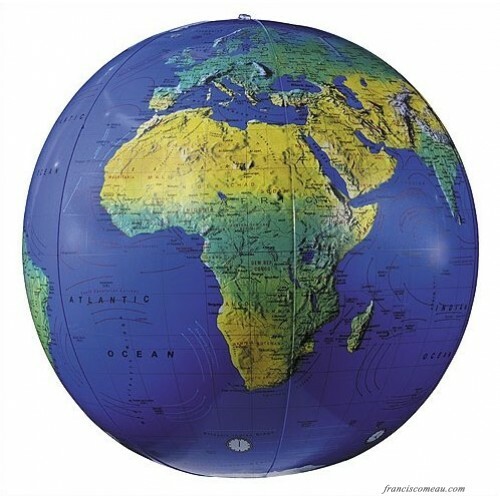 Allow children to play and learn at the same time with this playful and brilliantly colored inflatable world globe. Each globe is brilliantly colored and extremely durable. Kids will enjoying playing and learning at the same time. Globe Diameter 9" - 12"; 21" - 30"